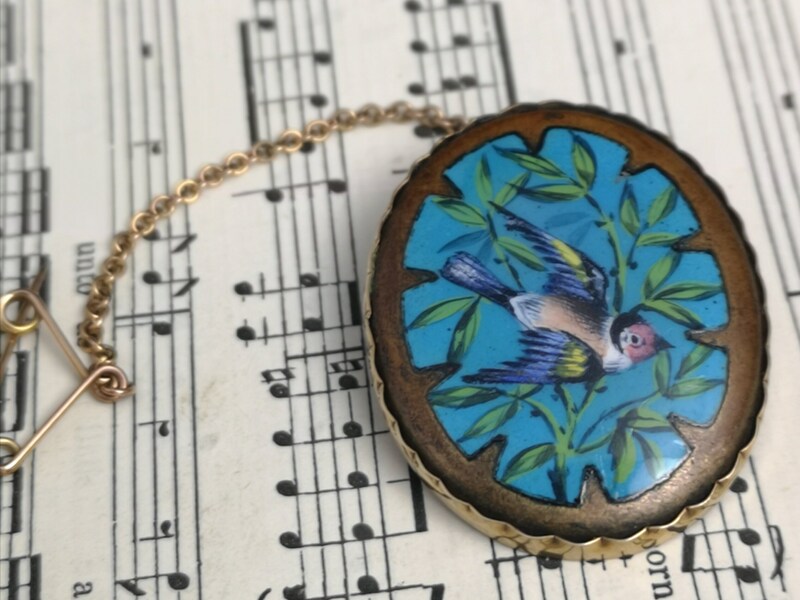 A fine Victorian hand painted enamel bird brooch in a pie crust oval 9ct gold mount with a safety chain. 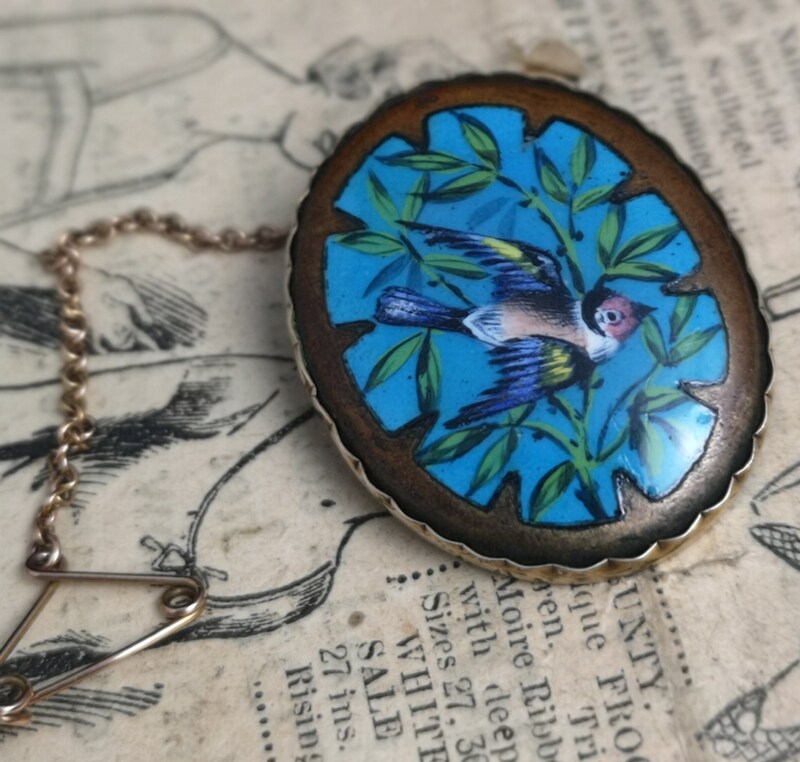 Beautiful vibrant enamels with the bird in flight against a background of blue sky and foliage with a gold enamel edging. 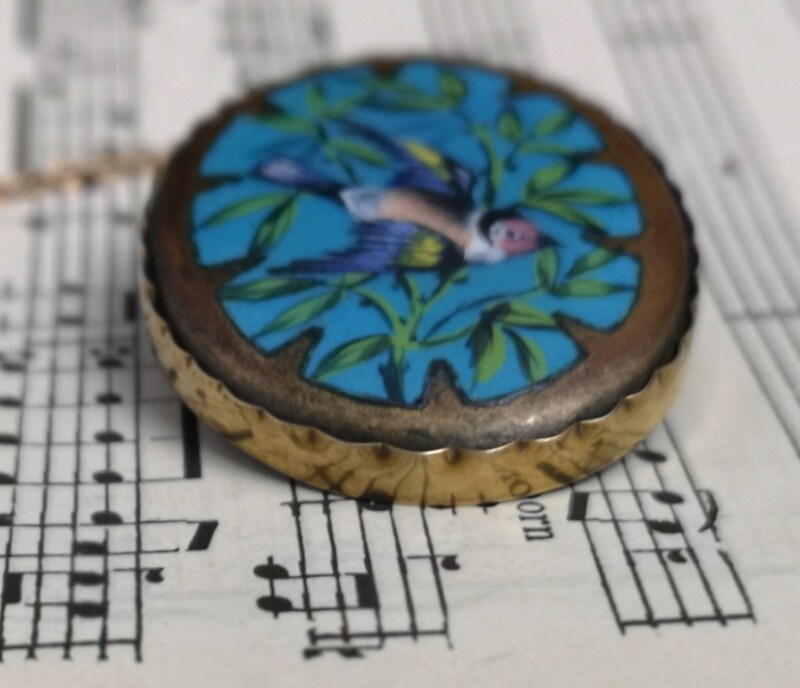 The bird itself has beautiful colours of blue, yellow and peach with white and black highlights, I thought it may be a blue Jay but I could be wrong. 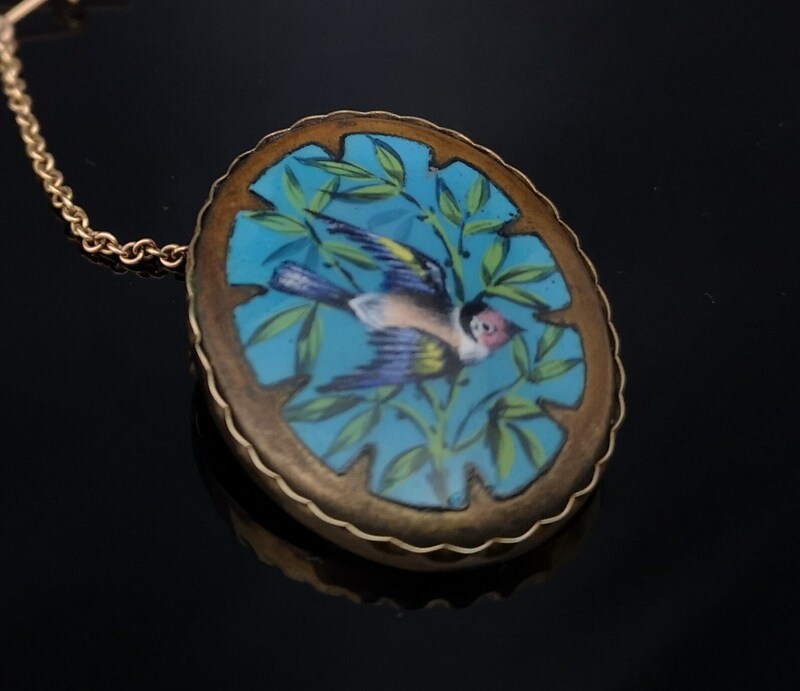 Very finely detailed, a work of art on a brooch. 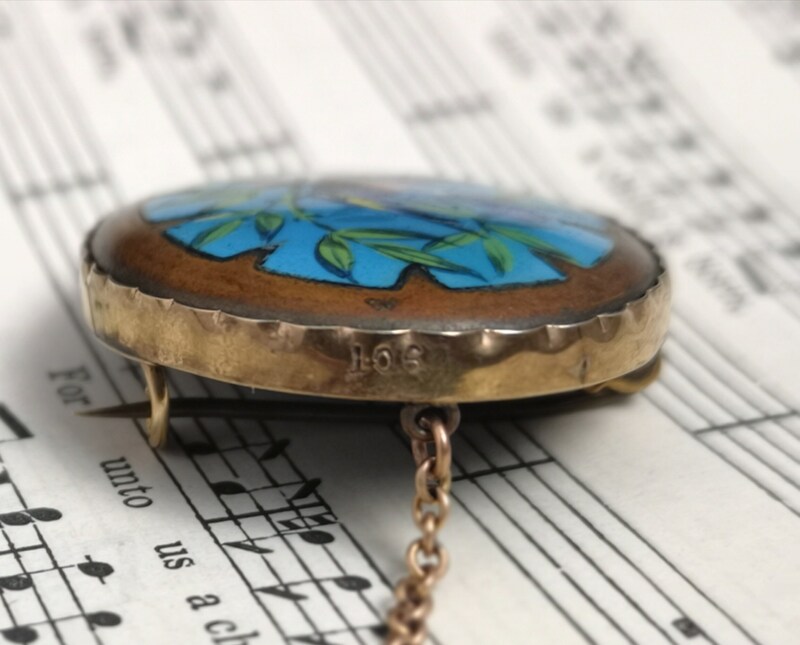 The enamel panel is set into an oval 9ct yellow gold setting with a pie crust edging, a safety chain and old C type clasp, marked to the top of the setting 9ct. 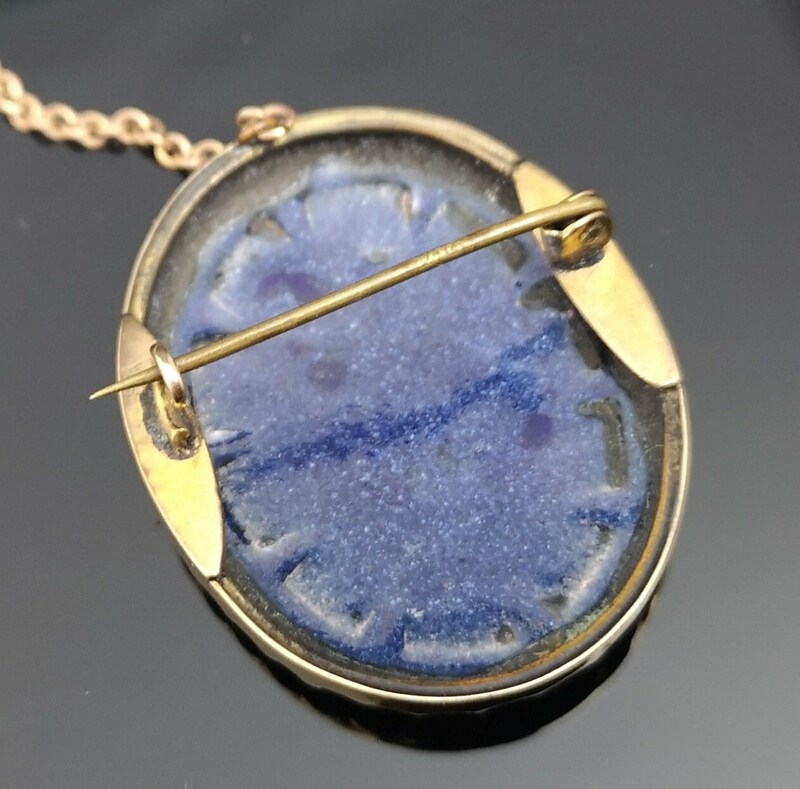 Approx 1" width, 1.5" height weight 6.36 grams.